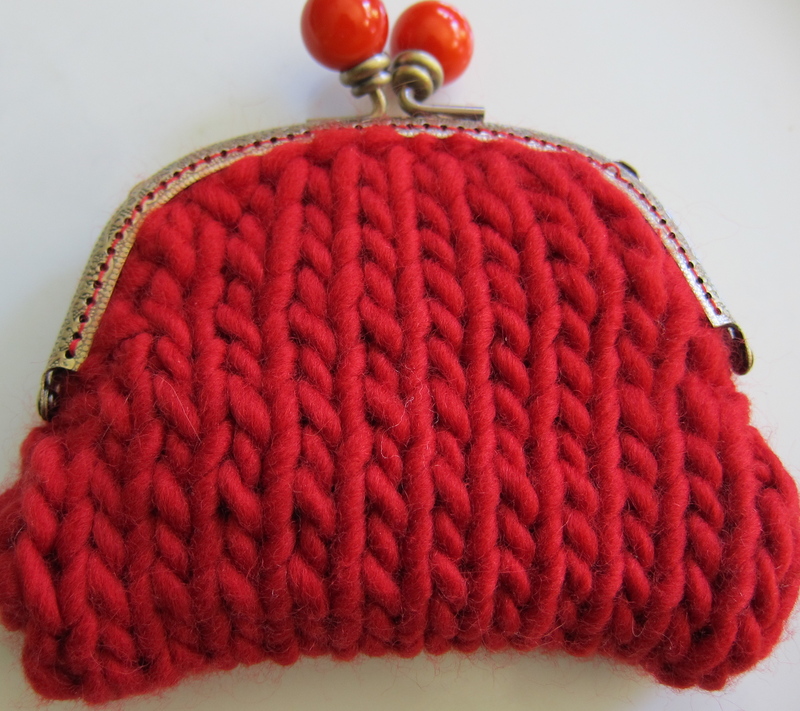 My latest, and the first in a series of coin purses. So exciting — finally there’s time to make things again. For some strange reason, I’m really into these tiny coin purses right now. Maybe it’s because they can be finished quickly, even though these have a lining. I couldn’t find a pattern, so I made it up. One of these days, I’ll write it down and post it here. Fun to make and only needs a small amount of yarn.